Starting this Friday, A.J. 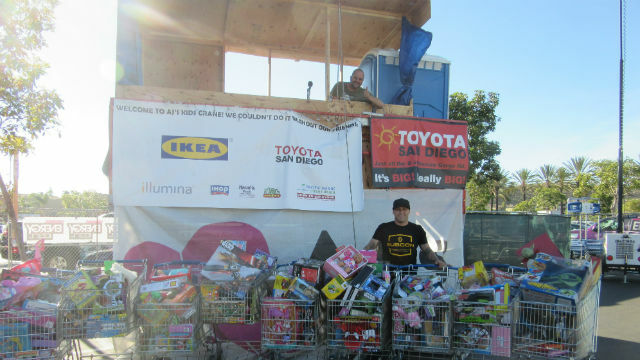 Machado, host of “AJ Mornings,” heard weekday mornings (6 a.m. to 10 a.m.) on KyXy 96.5-FM, will spend five days living in a crane hoisted 30 feet above the ground for his annual “AJ Kids Crane” holiday toy drive benefiting Rady Children’s Hospital. It will be Machado’s 16th year for the promotion that has collected toys and cash donations exceeding $1 million in value, according to KyXy producer Hula Ramos, who works with Machado and helped organize the first toy drive in 2001. This year’s goal is 100,000 toys. Through the end of Nov. 15, Machado will be located in the IKEA store parking lot, 2149 Fenton Parkway in Mission Valley. Listeners are invited to drop by and donate toys that will be distributed to hospital patients in 2018. For each toy and monetary donation, attendees will be eligible to win prizes, including tickets to KyXy’s SeaWorld night on Dec. 8. The station said special events are planned on each of the five days, including: free spa treatments on Friday night; yoga class, inflatables and carnival games on Saturday; comic books display on Sunday; free taste samples from 15 restaurants on Nov. 13; free tacos on Nov. 14; and luau on Nov. 15. For more details, visit www.kyxy.com. Machado, heard on San Diego radio stations for the past 17 years, spent the past five years on KEGY-FM Energy 103.7 before switching to KyXy earlier this year. Both stations are operated by CBS Radio San Diego. Public affairs firm Southwest Strategies has added three new employees, including: Kenneth Moore, manager of public affairs; Melanie Wilson, manager of public affairs; and Alexis Lopez, account executive. 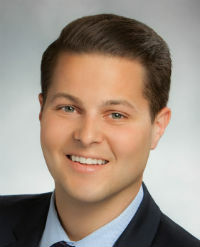 Prior to joining Southwest, Moore worked as a senior associate at Hutchens PR. He has extensive experience in the development and execution of communications programs for land use, real estate and sustainability and renewable energy clients. Southwest said he will work on large residential and commercial development projects and help lead the firm’s social media team. He earned a bachelor’s degree in managerial organizational communication from Point Loma Nazarene University. 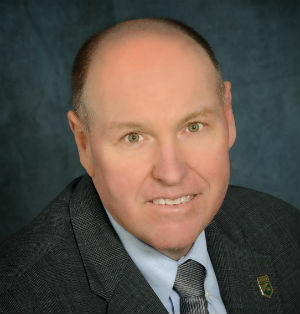 Wilson served as an advisor to County Supervisors Bill Horn and Ron Roberts before joining Southwest. She has experience in infrastructure, land use, water, energy, transportation and affordable housing. She is active in the Lincoln Club of San Diego, California Women’s Leadership Association and United Way’s Women’s Leadership Council. She has a master’s degree in public administration and undergraduate degrees in economics and political science from SDSU. Lopez worked with San Diego Mayor Kevin Faulconer before joining Southwest. She assisted with the 2017 State of the City address, framing policies, preparing briefs and conducting legislative research. She has experience working with immigration and family law firms helping clients with documentation. She has a bachelor’s degree in political science from SDSU. RelationEdge, a San Diego-based company that helps clients implement the Salesforce customer relationship management system, has announced it has merged with and absorbed Main Path Marketing, a San Diego-based full-service digital marketing agency. Both companies are owned by Tide Rock Ventures, a San Diego private equity firm. A Main Path spokesperson said the RelationEdge name will be the surviving entity. RelationEdge, founded in 2013, has offices in Atlanta, Chicago, Dallas, Denver, Irvine, Los Angeles, New York, San Francisco, Seattle and Washington, DC. Main Path, founded in 2007, had lost several senior staff members in recent months. The Public Relations Society of America’s San Diego-Imperial Counties chapter will present “A Guide to Influencing the Influencers” from 11:30 a.m. to 1 p.m. on Tuesday, Nov. 14 at Harbor House restaurant, 831 West Harbor Drive. PRSA said many brands are using influencers to share their message because influencers bring authenticity and create content sought by consumers. Speakers Mariana Cimino and Josh Hager, both from Casual Fridays, a social media and content marketing agency, will discuss starting an influencer program, how an influencer approach differs from traditional media outreach and the types of influencers, from celebrity endorsements to micro-influencers. Attendees also will get tips on finding the right influencers, the value of content creation and measuring engagement rates. Cimino, senior social media strategist, has worked with such brands as KAABOO Del Mar, Marriott Hotels and Jersey Mike’s. Hager, community manager, has worked with Disney, Nestle and CNBC Prime. Cost to attend is $40 for members, $50 for nonmembers. For more information, visit www.prsasdic.org.